Every year, TripAdvisor Japan runs algorithms across its site to compile a number of top 10 lists, covering everything from the country’s most popular theme parks to the most beautiful places to see the autumn leaves. Now they’re back with this year’s look at the top 20 best free attractions around Japan, according to user reviews on their site! 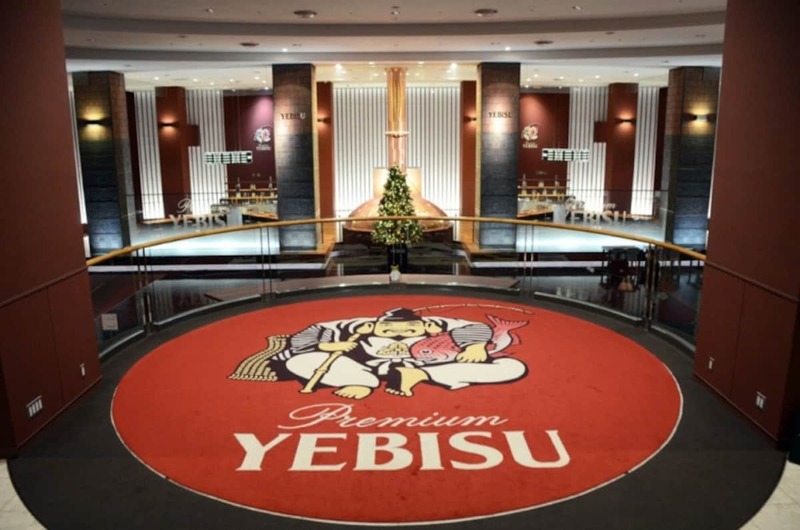 Back in 2010, the Museum of Yebisu Beer opened to mark the 120th anniversary of the brand, setting up home near Ebisu Station, which was named after the brewery when it began operating in 1906. Today, lovers of Yebisu come from around the country to take a free tour of the museum, which ends with a free tasting of beer, or soft drink for those who aren’t able to enjoy a tipple. You don’t have to pay a single yen to enter this beautiful farm in Hokkaido, which is famous for its fields of lavender. And that means you’ll have more money to spend at their gift shops and cafés, where you can even try lavender ice cream. This is the first JASDF (Japan Air Self Defense Force) theme park, which lets visitors get up close and personal with some impressive aircraft, completely free of charge. There’s even a flight simulator and a huge dome-screen movie theater for visitors to enjoy. Okinawa is famous as the home of Orion beer, and here at the Orion Happy Park in the northeast area of Nago, visitors can enjoy free brewery tours and tastings. Each tour lasts 35 minutes, with 20 minutes of sampling time at the end, which includes a small bag of snacks in a beautifully spacious beer hall. This museum is just as impressive on the outside as it is on the inside, given that it’s designed to look like a reconstruction of the main keep (honmaru) of Saga Castle, which was built in 1838. As one of the largest wooden reconstructions in Japan, the building contains over 700 tatami mats, where exhibits and models relating to Saga during the fall of the Tokugawa Shogunate and the Meiji Restoration are set up for visitors. Naritasan Park is a large garden which spreads out below the Great Pagoda of Peace at the back of the Great Main Hall at Naritasan Shinshoji Temple. The walking course here, which winds its way through plum blossoms in spring and colorful foliage in autumn, is especially popular with visitors. This is Japan’s largest mosque, originally built alongside an adjoining school in 1938 by Russian immigrants. Demolished in 1986 due to structural damage, the mosque was rebuilt in 2000 with marble imported from Turkey. Now the mosque has an adjoining Turkish culture center, which welcomes people of all faiths who have an interest in viewing the building. The Tokyo Metropolitan Government Building in Shinjuku is one of Tokyo’s most famous cheapo spots, with free observation decks providing expansive views of the city, and the staff cafeteria offering insanely cheap food and drink deals. The Kyoto Museum of Traditional Crafts, commonly known as the Fureaikan, introduces visitors to local crafts like lacquerware, woodworking, metalwork, textiles, and basketry. Another one for beer lovers, the Asahi Suita Brewery Tour provides a behind-the-scenes look at the history and manufacturing processes behind their products. What really has people singing their praises, though, is the 20-minute tasting after the tour, which includes unlimited refills. We have to admit, it’s quite sad to see something like a dolphin show in the top 20 list, since we’d much rather see these creatures out in the ocean, but the aquarium and free show at Churaumi Aquarium remains a popular destination for visitors. This seven-story building is much more than just a tourist information center—it also houses conference rooms, exhibition spaces, and a cafe and free observation deck on the 7th floor. Located just across the road from world-famous Sensoji Temple, the top floor has a great view of the temple grounds and Tokyo Skytree. Nikka Whisky Distillery was built at Yoichi in 1934, on a site chosen for its rich peat, fresh air and clear water. As one of Japan’s top whisky makers, Nikka has built a huge following around the world, and the Yoichi distillery is particularly popular for its free guided tours, self-guided walks and tastings. At 186 meters (610 feet) in height, Kurobe Dam is Japan’s tallest dam and one of the largest in the world. Located in the beautiful Northern Alps region, the dam releases a huge torrent of water daily from June 26 to October 15, creating an impressive sight. Shugakuin Rikyu is an imperial villa built in the mid-17th century for a retired emperor. In autumn, the Japanese garden here becomes breathtakingly beautiful as the fall leaves change color. One of Tokyo’s best gardens is tucked away on the grounds of a hotel which stands on property once owned by samurai lords. The 10-acre garden is open to guests and visitors alike, and is notable for its koi ponds, waterfall, vermillion bridges and ancient stone lanterns. This museum contains exhibits on the history of the JMSDF and mine-sweeping techniques, and is the first in Japan to display an actual giant submarine on land. Visitors can climb inside the submarine and feel what it might’ve been like for the vessel’s 75-member crew under the ocean, and there’s also a working periscope onboard that lets you peer out into Hiroshima Bay. This wedding and banquet facility is known for its stunning traditional gardens and architecture that harks back to the Edo period (1603–1867). Once the residence of a 17th-century samurai, now anyone is welcome to enter and enjoy the koi pond, sakura trees and centuries-old bonsai trees free of charge. Due to its convenient location and status as one of Japan’s top four leading beer brands, Kirin comes close to taking the number one spot on this list. At its Yokohama facility, visitors can enjoy two beers and some snacks for free following the guided tour. And at number one on the list of free activities in Japan is…a hangar tour. Here, you can view planes undergoing maintenance and safety checks, and enjoy hands-on experiences like taking photos in genuine uniforms and trying out different JAL jobs, making this an extremely popular tour for children and adults alike. So there you have it, the top 20 free attractions in Japan for 2018. Proof that you don’t need to spend a single yen to enjoy some of the best sights, tastes and experiences that the country has to offer. All photos sourced from TripAdvisor Japan. Read the original article from SoraNews24 via the link below!